Humana drives over traditional linear model economy, 'extract-produce-consume-pull', the circular economy, promoting reuse of clothes and giving a second life to used clothing. 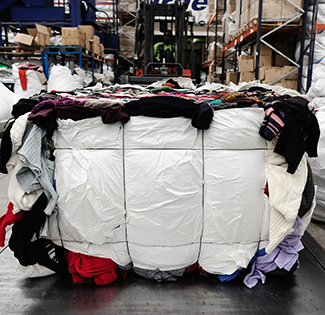 The textile is selectively collected fraction with more potential for reuse than 90%. Circular economy is an economic concept that is included in the framework of sustainable development and aimed at reducing consumption and waste of raw materials, water and energy sources. Humana's work fits perfectly into various aspects of the circular economy: the reintroduction into the economic circuit -the those products clothes- that no longer correspond to the initial needs of consumers; reuse: reuse certain waste or certain parts thereof clothes- -the, they can still work for the development of new products; and energy recovery: harnessing energy waste can not be recycled. It is also an important engine of employment: in the case of the Foundation, for example, a full-time permanent employment is generated for every 40,000 kilograms of used textiles collected, with a total of 458 jobs. Despite the efforts made on recycling, population and economic growth accentuates the scarcity of raw materials and resources, generating an unsustainable model clearly. The European Commission adopted on 2 December a new package to stimulate Europe's transition towards a circular pattern whose ultimate goal is to establish a production system and efficient use of resources and where they are used over and over instead, leading to an endless cycle. In the case of textiles, reuse has a double benefit: environmental, because every kilo of clothing that reuses and not incinerated prevents the emission of 3,169 kg of CO2, according to the European Commission; and social, because there are authorized for such management that prioritize social order used clothing as Humana, for example to help development cooperation projects and local support organizations. Therefore it contributes decisively to global sustainability: environmental, social and economic. 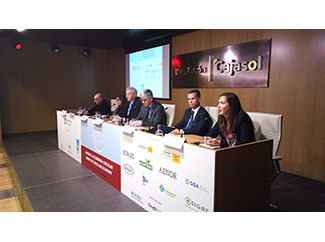 Aspects such as these will be addressed in Seville on 16 and 17 March at the 'Now Circular Economy International Conference' in which the Foundation acts as rapporteur, in order to discuss the possibilities of reuse of textile and importance of their role in the circular economy. 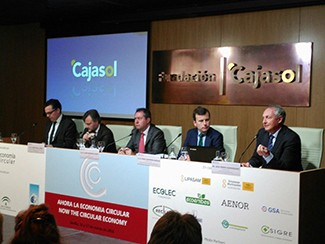 The Conference is organized by the Foundation for Circular Economy and the Association of Cities and Regions for Recycling and Sustainable Resource Management ACR +. According to organizers, "will serve to discuss and think about different aspects of circular economy, with the presence of a large number of actors, especially municipalities and European regions, industrial sectors as well as social and scientific agents, who are taking action significant from many points of view in favor of the circular economy. "